Agree the choice of content, timing and amount of snacks between meals or at bedtime available to the adult with type 1 diabetes, based on informed discussion about the extent and duration of the effects of eating different food types and the insulin preparations available to match them. 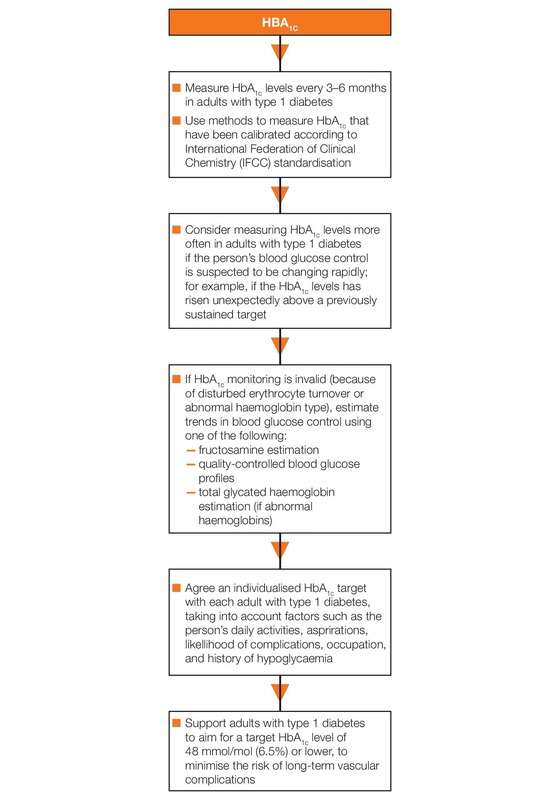 Modify those choices based on discussion of the results of self-monitoring tests. 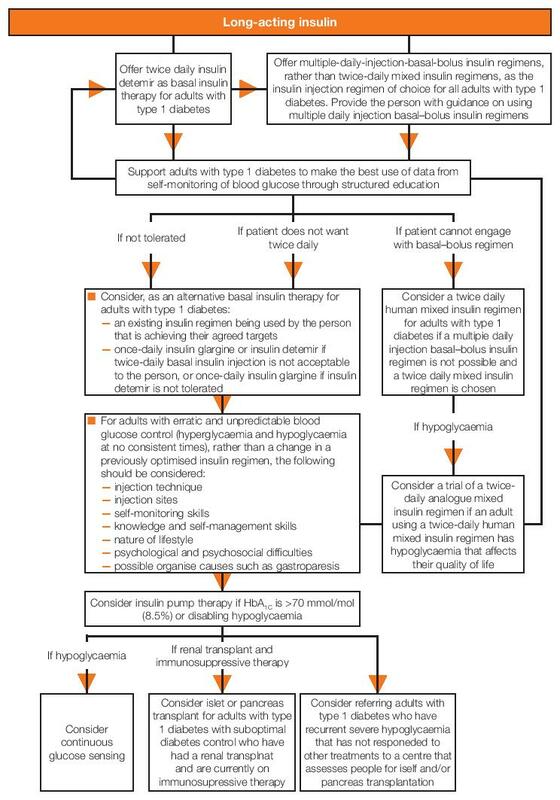 For guidance on the use of continuous subcutaneous insulin infusion (CSII or insulin pump) therapy for adults with type 1 diabetes, see continuous subcutaneous insulin infusion for the treatment of diabetes mellitus (NICE technology appraisal guidance 151). 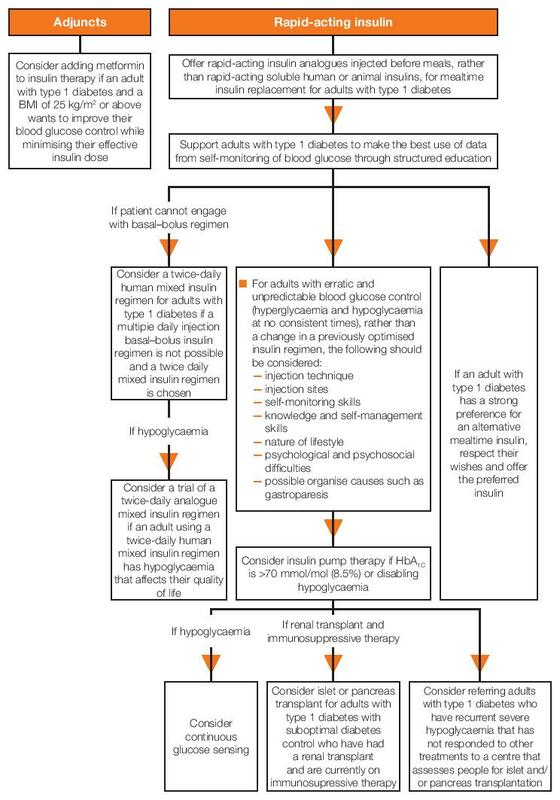 * Diagnosis of gastroparesis needing specific therapy can only be made in the absence of hyperglycaemia at the time of testing, because hyperglycaemia induces a physiological delay in gastric emptying. © NICE 2015. 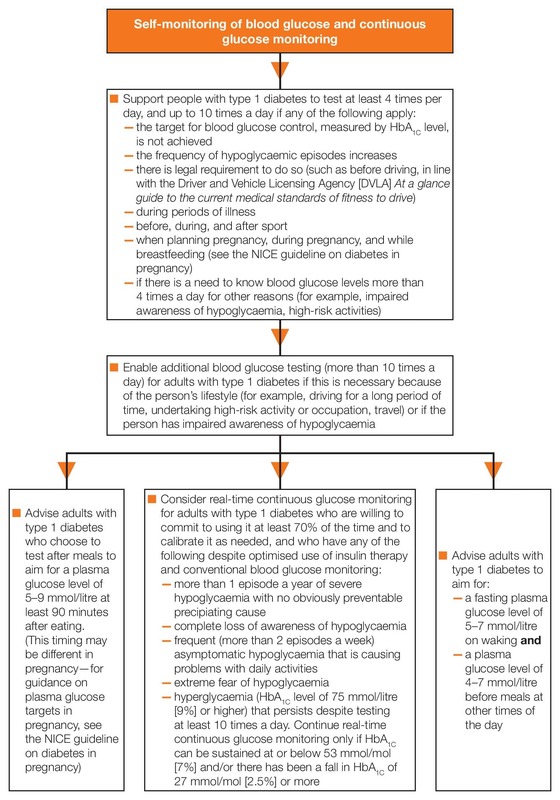 Type 1 diabetes in adults: diagnosis and management. 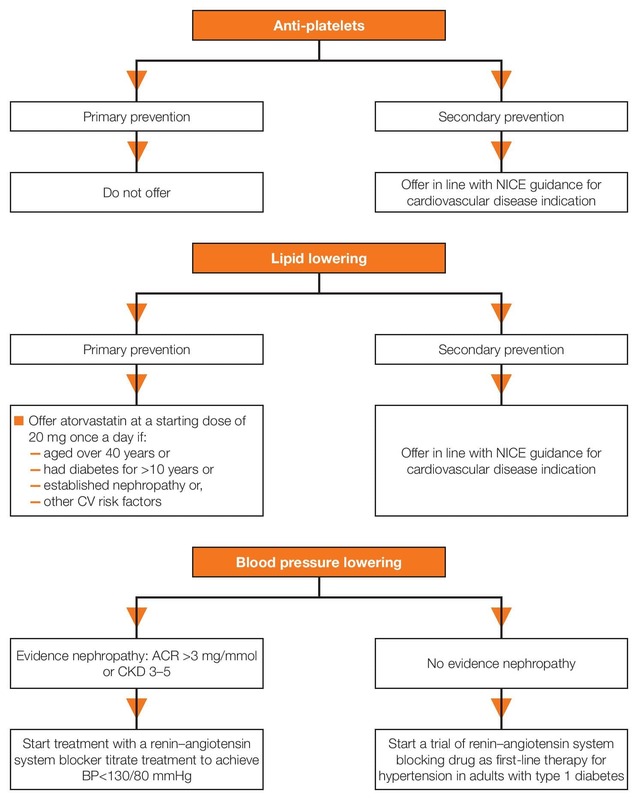 Available from: www.nice.org.uk/guidance/NG17. All rights reserved. Subject to Notice of rights.